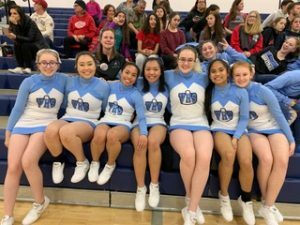 This weekend the JV Boys, JV Girls, and Cheerleaders traveled to Wasilla for the Rally in the Valley Basketball Tournament at Redington High School. On Thursday we took on the Redington Huskies for our first game in the Ralley in The Valley JV basketball tournament. A sluggish start netted us only 16 points in the first half. However, a productive 3rd and 4th quarter along with a stifling defense resulted in a solid victory at 50-19. Storm Rohrer had 19 points with James Letendre adding 14. Our Friday matchup was against the Homer Mariners. We trailed by as much as late in the 2nd quarter, and found ourselves down by 7 at the half. Again, a great defensive effort led by Moe Morgan helped us claw back and win 50-39. Storm Rohrer had 14 points and 14 rebounds. James Letendre had 13 points and 7 rebounds, and Moe had 12 points and 9 rebounds in the contest. 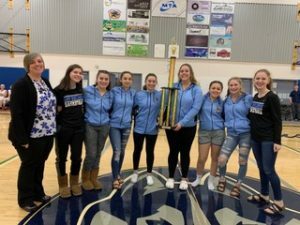 In the championship game, we met an athletic and experienced Kenai squad. They quickly pulled ahead, and by the middle of the 2nd quarter we were down by 14. Kenai’s trapping zone defense caused too many turnovers for us to make much of a run, and despite a few small runs were ultimately unable to close the score. However, it was rewarding to be able to compete in the championship game and bring home a 2nd place trophy for the tournament. We especially like to express our gratitude to the cheerleading squad that made the trip to cheer for the JV games. Their energy and support was great to have. They even tried their best to get Mr. Prax “jus’ a little bit rowdy, R-O-W-D-Y”, but it was a hard sell. Seriously, they added a great deal to the event and their performance was commendable. We also appreciated the sizable number of parents, fans, and our Athletic Director Barb Lyons that made the trip to watch. It is always noted and appreciated by the team. Thank you. This weekend we played in the Angela Coyne Reavis JV Rally in the Valley Memorial Tournament at Redington Jr./Sr. High. We began the tournament with a game against Cordova. At the half we were leading 18-13. After the half we came back and extended our lead, out scoring Cordova 22-4 in the second half. We ended with a strong fourth quarter, scoring 16 points. The Bucs were lead by Kylie Gilbert-Fletcher with 20 points. Ambrosia Woodgate added 8 points and Rylie King chipped in 6 points. The Lady Bucs started the game strong and were very consistent in both offense and defense. Through our tough defense, we lead at half time 21 to 8. 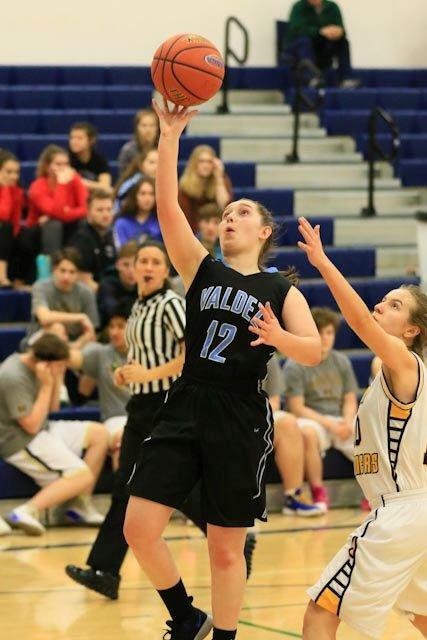 The girls continued to pressure the ball throughout the second half, outscoring Homer in each quarter. The Bucs were lead in scoring by Rylie King with 16 points and Kylie Fletcher-Gilbert with 14 points. 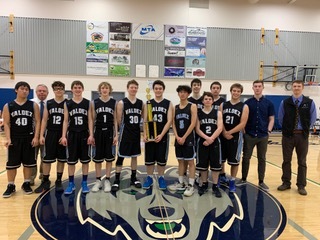 On Saturday we played in the Championship game against Kenai. Kenai came out and put a lot of pressure on the ball. We struggled throughout the first three quarters to score. Thankfully our defense was also making it hard for Kenai to score. At the half we were down 7-8. We continued to struggle offensively in the third quarter, only scoring 2 points while Kenai scored 4. It was 9 to 12 at the end of the third. 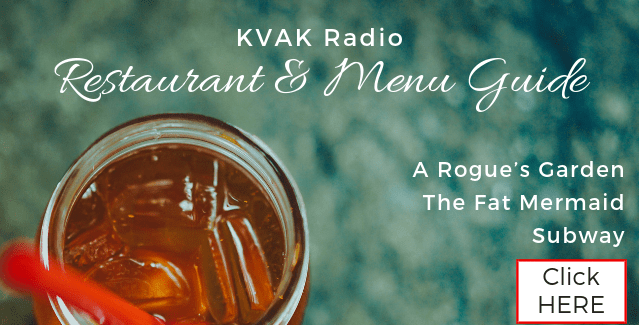 In a very exciting fourth quarter, we inched ahead of Kenai scoring 10 points to their 5. Rylie King lead the Bucs with 9 points. She also received the tournament’s MVP award. 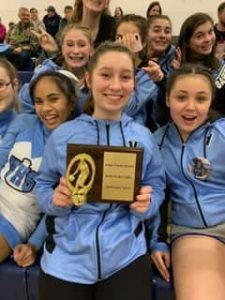 Rylie King was MVP for the Girls Tournament. This weekend was the 2018-2019 Region VI championships. There were four schools in attendance: West Valley, Lathrop, Hutchinson, and Valdez. 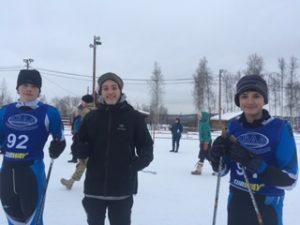 Due to skiers catching the flu going around the last two weeks and an injury, only Freshman William Benes (59.01) represented our school in the 10 kilometer, individual freestyle race. 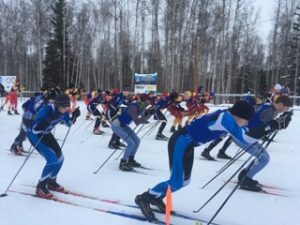 Skiers had great conditions going into regionals: it was a warm day with fast snow. West Valley skiers Ari Endestad (26.40) and Kendall Kramer (21.27) come in first in the boys and girls race, respectively. Our team stayed for the second day to watch the relays, cheering on fellow skiers and learning more about classic form. We had a wonderful season, full of learning and gaining experience, and can’t wait for next year! Thursday, February 14 – Saturday, February is the 42nd Annual Elk’s Basketball Tournament. See the attached bracket for teams and game times each day. Approximately 200 student athletes will be arriving in town on Wednesday evening and Thursday morning.